Durham’s Neighborhood Improvement Services (NIS) Community Engagement Team leaders Lynwood Best and Jacob Lerner understand something that many people don’t appreciate — that there is a vast difference between equality and equity. 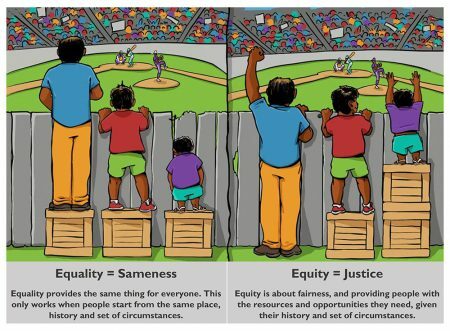 According to Best and Lerner, equality is making sure everyone is treated equally. Equity is making sure everyone is given the tools that they need to be successful. This is why Best and Lerner say they are eager to provide information about their Equitable Community Engagement Blueprint. The blueprint plan was requested by the City Council last August and presented in November, but it is an evolving document. 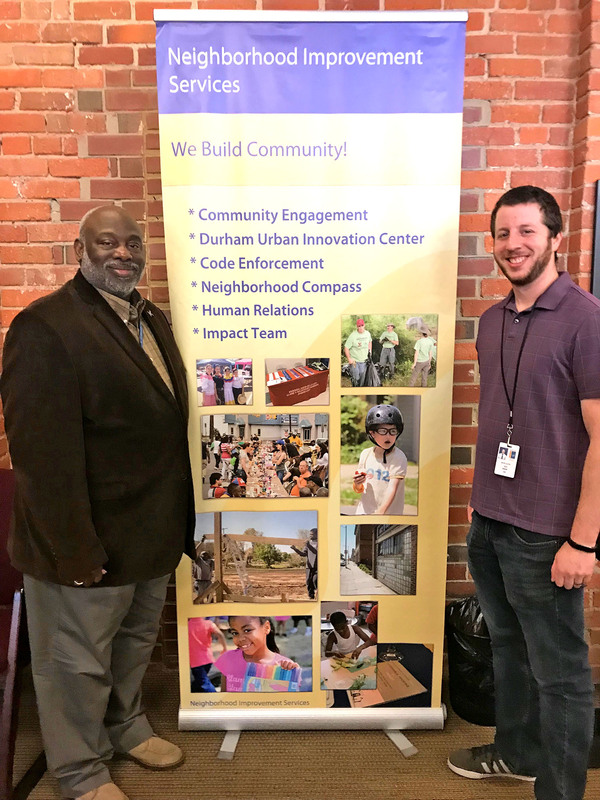 Best, the Durham Community Engagement Manager, and Lerner, the Community Engagement Coordinator for District One – which includes the Northeast Central Durham neighborhoods, are seeking input from residents. The introduction to the blueprint explains that they hope to outline an “engagement to lead to a racial equity plan” — a result of the previously proposed engagement plan for a Belt Line Trail, a new trail for walking, running and biking. The Belt Line plan introduced a new trail that would go through some parts of Durham. Citizens began to complain about the lack of inclusivity introduced in previous engagement plans as well as this one. Other trails, like the R. Kelly Bryant Trail, are set to run through NECD specifically. Best has worked in communications for over 20 years while Lerner has held his position for three. He says he’s knocked on doors, all told, for 10-15 years. The City Council allotted 90 days for the Community Engagement team to bring something to the table that could enhance racial equity. Lerner expresses his concern about community engagement processes not being inclusive. He says that it’s important to know exactly what groups of people need to lessen equal distribution and heighten equity. The beginning of the blueprint explains that if change is be made effectively, resources will have to be invested in different and more equitable ways. Lerner provided this example: If resources were split equally, a well-off Caucasian man, who already has enough, is now receiving the same amount of resources as the poor Hispanic man down the street. The only problem is that now, it’s no longer equal because the white man still has more. “We’ve been engaging and we’ll go to the City Council and we’ll say, ‘we have 800 surveys, and this is what the community wants,’ but when we don’t know who those people are, we accidentally prioritize certain groups,” Lerner said. Lerner says that the surveys have been set up this way for years as a way to protect citizen’s privacy and identify, but NIS needs to collect data to see who actually is participating. The engagement team will also look beyond race. Age and gender will also be assessed. Many citizens have questioned where the funding that will support this new engagement process will come from. Lerner says that the plan is to increase the funds in different ways than before. Best and Lerner will be exploring the barriers that stop normal citizens from participating in city meetings and having their voices heard. Best and Lerner say their goal is to figure out “what’s stopping them” — whether it be not having child care, transportation, or apathy. Doing this, they hope, will essentially put more people in seats at one meeting, rather than having multiple meetings. Best and Lerner stress that NIS is dedicated to improving racial equity in city policy decisions. For more information on NIS Community Engagement projects or community events, check out Durham’s Community Engagement website. Heaven Gullate is an NCCU student from Gastonia. This spring she is serving as a staff writer for the Durham VOICE. This entry was posted in Hispanic Community. Bookmark the permalink.